Karen Valdez from Lone Star National Bank March, 2, 2018 in McAllen. Known by many, respected by all, Karen Valdez has made a name for herself in the banking industry and on public boards Valley wide. Dubbed Women’s History Month, March is nationally observed as a time to honor the contributions of women throughout history, and Valdez, 60, more than qualifies. Born in Charlotte, North Carolina, Valdez moved around in three states before settling in Houston, where she completed high school. “I never really saw myself here,” said Valdez, who graduated from the University of Texas at Austin with a degree in psychology. Valdez serves now as human resources manager for Lone Star National Bank. Her career took a left turn after winding up in Laredo and experienced difficulty finding a job in social work due to being unable to speak Spanish. It was Valdez’s mother, to whom she attributes her work ethic, who suggested she become a banker. Valdez celebrated 38 years in the industry on Feb. 28. When IBC, the bank she served at the time, expanded to McAllen, the president requested she be transferred. This was in 1990 and Valdez and her husband have been here since. It’s been two years since she’s moved to Lone Star National Bank and it was its staff who submitted her nomination. 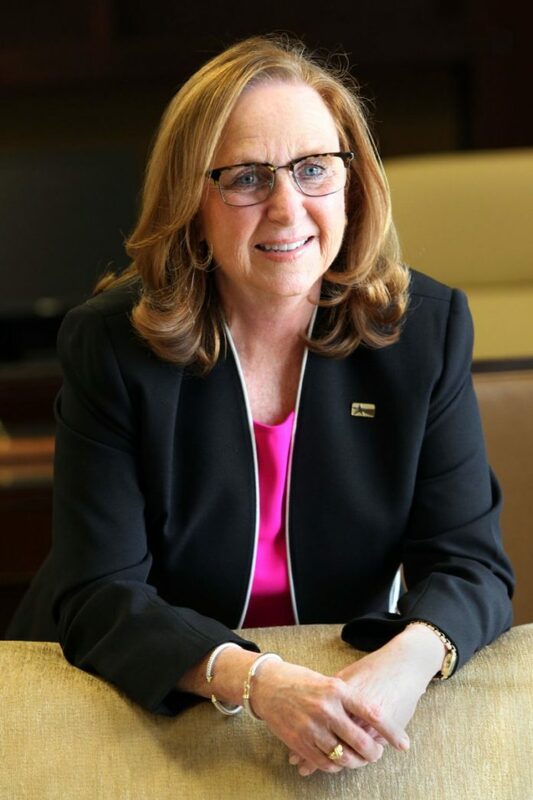 Over the years, she has been involved with McAllen Affordable Homes, Leadership McAllen, Leadership Texas and in 2009, received the “Woman of the Year” award from the McAllen Chamber of Commerce. One of the local boards Valdez serves on is the Community Development Council; for a number of years she has held the appointed position as CDBG — Community Development Block Grant — chairperson. Longtime friend and CDBG Program Director Piedad Martinez referred to Valdez as the “rock” of the advisory board. Such decisions include the allocation of funds to local services that enhance quality of life and satisfying the unlimited need with limited resources. Apart from her professional achievements, Valdez said she is proud of her two children, now grown, and hopes to be seen as a mentor for young people in the community. In observance of Women’s History Month, The Monitor is recognizing local women who inspire us. This is the first of eight profiles on those who made our 2018 list of “Women We Love,” a series we’ll publish every Monday and Thursday in March.